Dozens of teaching assistants at Sabha University protested against the decision of the Ministry of Education of GNA regarding dispatching abroad, and delaying of their dues payment . They demanded expediting payment and treatment more professionally.They also issued a statement demanding that they should not be obliged to carry out tasks outside their work according to the regulations and pay their dues, including office grants, health insurance and housing allowance. 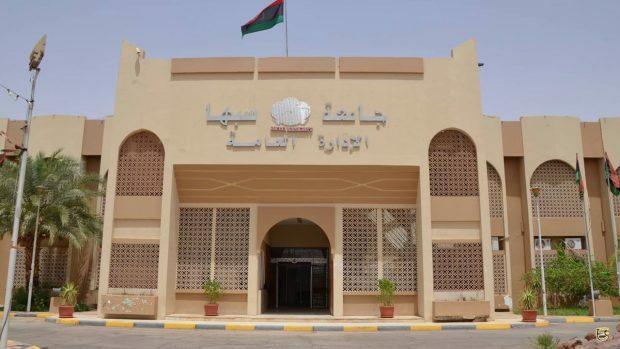 The instructors of Sabha in their protesting in front of the general administration building of the university in the center of the city gave them priority in the decisions of the dispatch, and to expedite the resumption of the financial authorizations for those who issued the dispatch decisions, appealing the decision No. 63 of year 2018, which is against the rights of the assistants as described.